One thing about our industry I’ve learned over the years is that certain topics are very divisive and fueled for controversy. One such topic: Business ink vs. toner. Most dealers that I speak with have very heated opinions about which is better, and why. Business Ink is here to stay: No matter how you feel about the topic, business grade inkjets are here to stay. HP continues to grow and boasted a 40% share of the printer market in Q4 of 2017. They had some rocky starts with the edeline series but have long since made up for that. Page-wide printing arrays using ink are making up a bigger and bigger piece of their printer revenue stream. Service requirements are much lower: One of the reasons that this is so controversial is that most office equipment dealers make a lot of money on the service aspect of their offerings. Ink-based technologies, as a rule, have far fewer moving parts to take care of which can translate to nearly “serviceless” office printing. I was at an event called the Top 100 Summit that they sponsored and many service managers were not pleased. That was a few years ago but suffice to say some are not happy about serviceless printing. 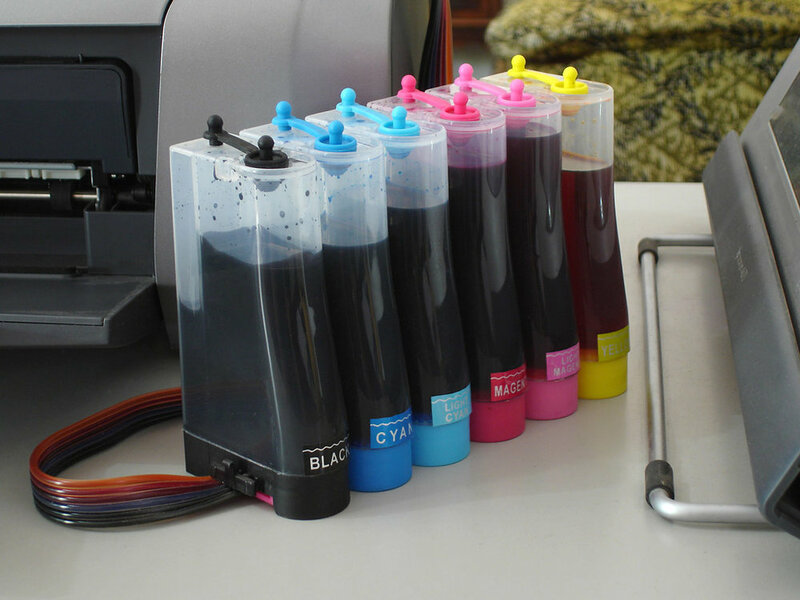 Business Ink is getting inexpensive: The manufacturing process for business ink is far less costly than it was a few years ago. Providers like Epson made some waves when they introduced their “Ecotank super-tank printers” which are extremely competitive to similar laser based options. At the production print level inkjets are making inroads too. More OEMs are offering it: There was a time when ink-based printers were only offered by a handful of OEMs, but no longer. HP continues to rule the space but others like Epson, Lexmark, Okidata, and others, are all getting on the wagon. One holdout has been Xerox, and they wrote an article for consumers to think twice about ink. Unless it’s “production inkjet”, because they are all-in on that! They are not alone as Konica Minolta is also offering production-speed inkjets. I am certain that I’m going to get some heated response to this blog, and that’s okay. I’m not saying that ink is better than toner, because it really depends on application and audience. Both technologies are here to stay and both will do their part to driving growth in our industry. How do you feel about business ink? Are you offering it? Are you selling against it? Share your thoughts and be an important part of the conversation!